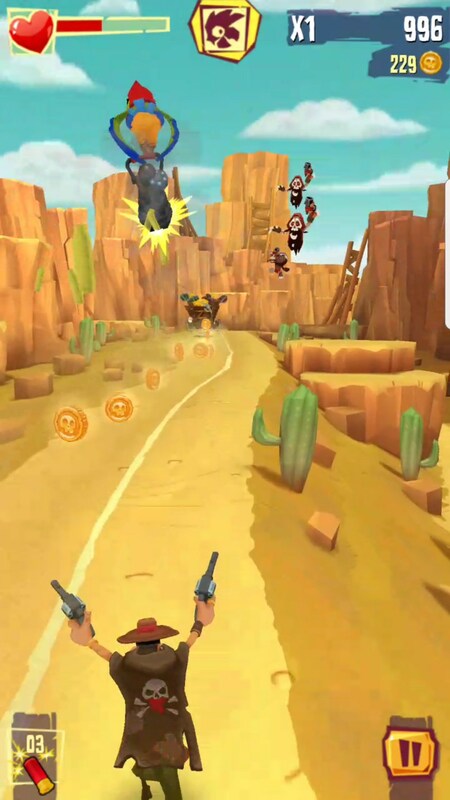 Run & Gun: BANDITOS – Games for Android 2018 – Free download. 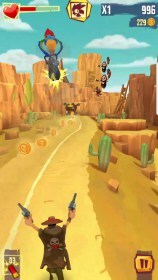 Run & Gun: BANDITOS – An innovative approach to endless runners. Are you tired of running around endlessly and helplessly while you try to score big points? 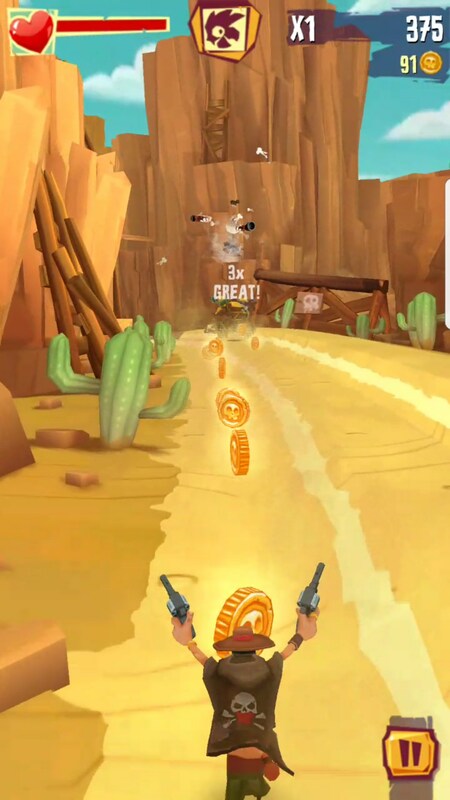 Tired of the static experience most endless runners advertise? 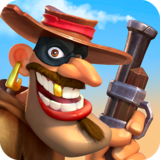 Check out Run & Gun: BANDITOS for Android. 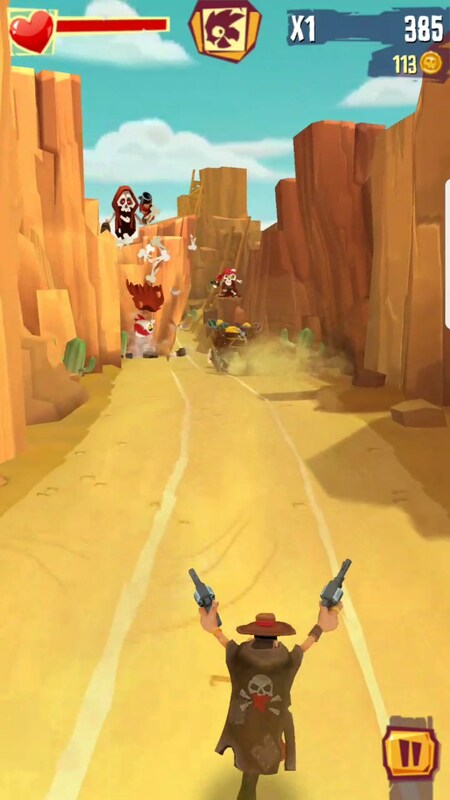 It’s an endless runners that throws a stick in the spokes of the wheel that is endless runners Not only do you have to dodge oncoming obstacles, you also have to shoot bandits while you chase loot. I’ll be honest, the game isn’t as exciting as I might have made it in the intro. 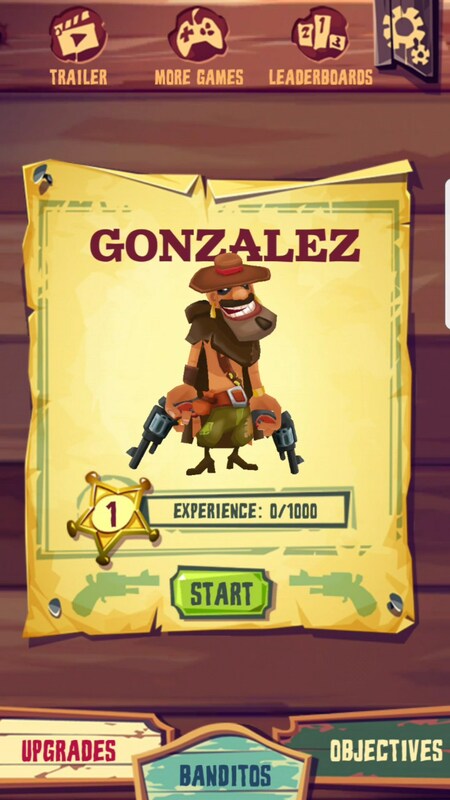 In fact, the combination of game mechanics Banditos features is actually a bit frustrating. Having to avoid obstacles is usually tough enough. 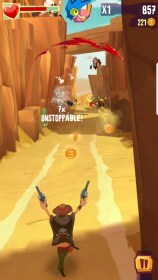 If it was easy then no one would still be playing endless runners. 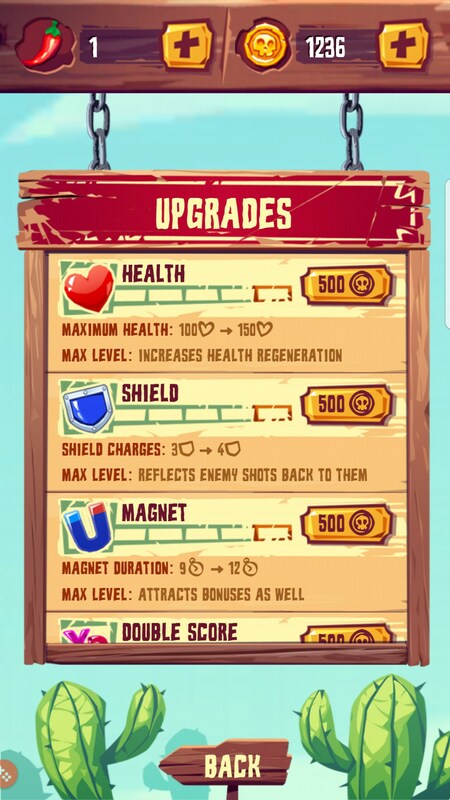 Now they throw in enemies that shoot at you that adds a time element to the mix that just brings it over the top. You really have to get good at prioritizing what’s going on. If you’re paying too much attention to where you’re going then you’re going to get shot and die. If you’re not paying enough attention to where you’re going then you’ll run into a wall. 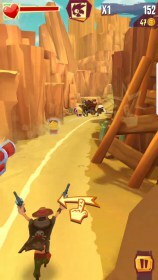 The third element is the wagon you have to trail in order to gain loot. It can all be very difficult to manage. 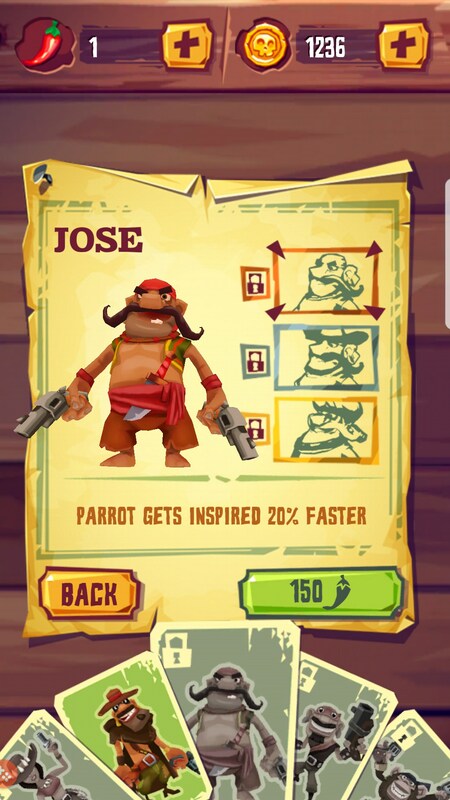 But fortunately, there is the opportunity to upgrade your banditos to give you a better advantage. Run & Gun: BANDITOS is a fun game but it can also be a pretty frustrating game, too. It can be unfair at times when you turn a corner and are shot immediately, requiring you to have literal godlike reflexes to not get hit. But I have to give it a nod when it comes to how innovative it is in an otherwise stale genre.